The global division of US cable firm AMC Networks has promoted one of its execs to the newly created position of president of the company. Eduardo Zulueta, who currently runs AMC Networks International (AMCNI)’s Latin American and Southern European channel portfolio, will now have oversight across AMCNI’s 40 channel brands, including its flagship global networks AMC and SundanceTV. 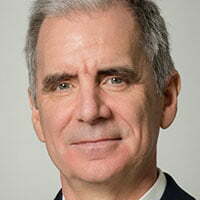 Assuming the position on November 1, Zulueta will continue to report to AMC Networks chief operating officer Ed Carroll. In his current role, the exec has orchestrated the growth of AMC’s diverse range of channels in Latin America and Southern Europe, including AMC’s major brands and regional networks like El Gourmet, Decasa, Odisea and Mas Chic. Zulueta was previously MD of Spain and Portugal at Chellomedia, the international content division AMC Networks acquired from Liberty Global in 2014. He has also held positions at Molinare Spain and Fremantle in Iberia. The news follows last week’s announcement that industry veteran Mike Moriarty is leaving his role as president of AMCNI Central and Northern Europe and UK.